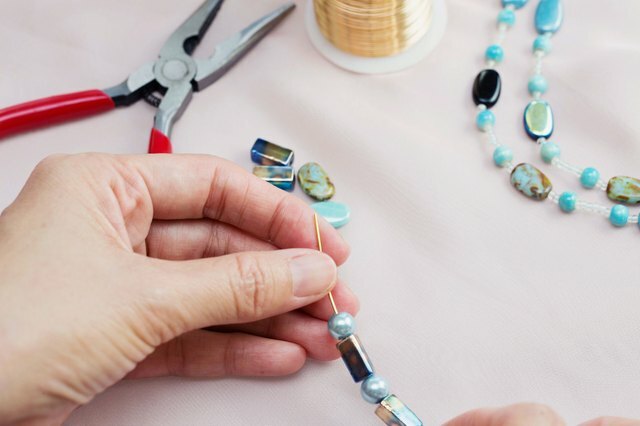 The simplest jewelry-making method is stringing beads onto nylon-coated steel cable designed for the purpose or onto stretchy nylon cording. Just like your preschool days, you simply pass the end of the stringing material through the holes in the beads. Then, use crimp beads or tubes to hold the beads in place and to attach the clasps. The only hard part is settling on just one design pattern. 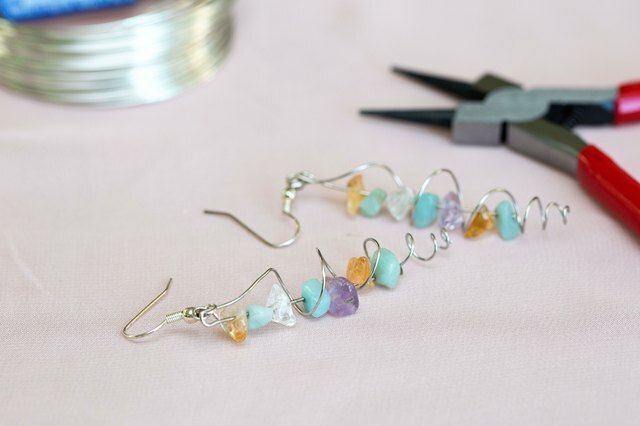 Twining your gemstones, beads or recycled glass bits with 24- or 26-gauge wire turns plain stones into designer glam. A wrap around the stone creates an uncomplicated cage to highlight the jewel, or you can make spirals and twists that make the wire a strong co-star. Mixing wire-wraps with other metal findings allows you to create an art piece to show off your skills. 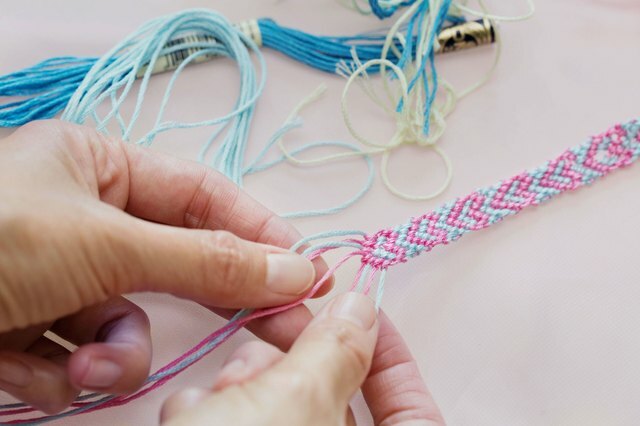 Embroidery floss takes on a new role when you use it to weave friendship bracelets, especially if you use a loom to blend the floss with seed beads. Patterns range from simple back-and-forth weave patterns to complex chevrons, flowers and other designs. 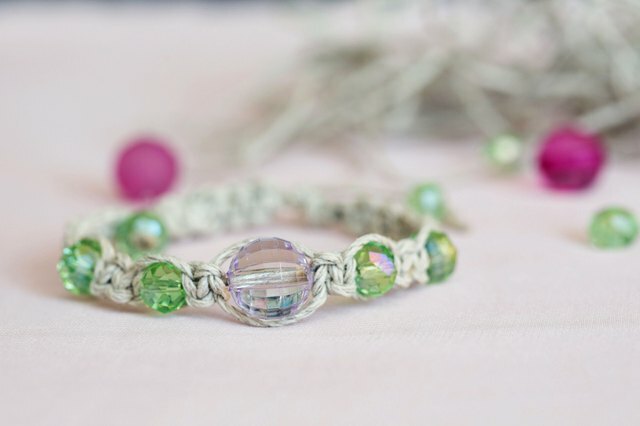 Bracelets or rings can be made on special looms or by pinning the floss ends to a pillow. 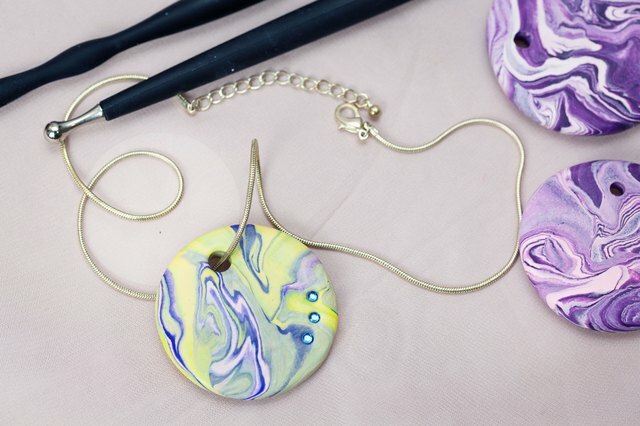 Polymer clay isn’t just for lovable animal statues or dainty displays. You can roll the clay into bead shapes and carve or mold it into pendants and other jewelry elements. The clay is available in a wide variety of colors, and you can paint it after it has been oven-dried. Just be sure to make a hole in the clay for hanging the piece before you bake your clay. Flash back to the 1960s with macrame bracelets and necklaces. Hemp gives the pieces a rustic look, especially when you combine it with wooden or bone beads, while paracord produces a contemporary appearance. 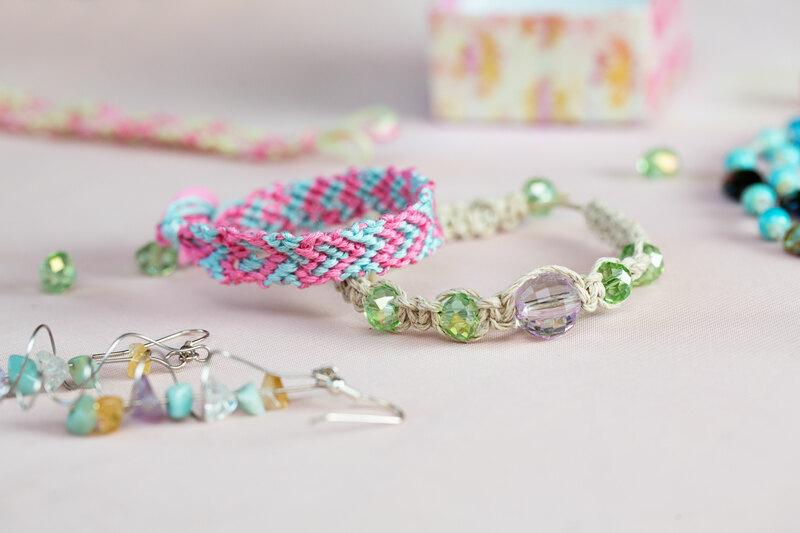 Half-hitches are easy to learn for simple designs and, once you’ve mastered those, learn a number of variations on the theme that allow you to make more complex designs. Instead of pinning your weaving or knotting to a pillow, tape the ends to a scrap of cardboard.